The requirement is to have two separate roles for staff and manager regarding MIR4 tcode. Staff should only have the authorization to “Park” the document and manager only the authorization to view the document and “Post”. 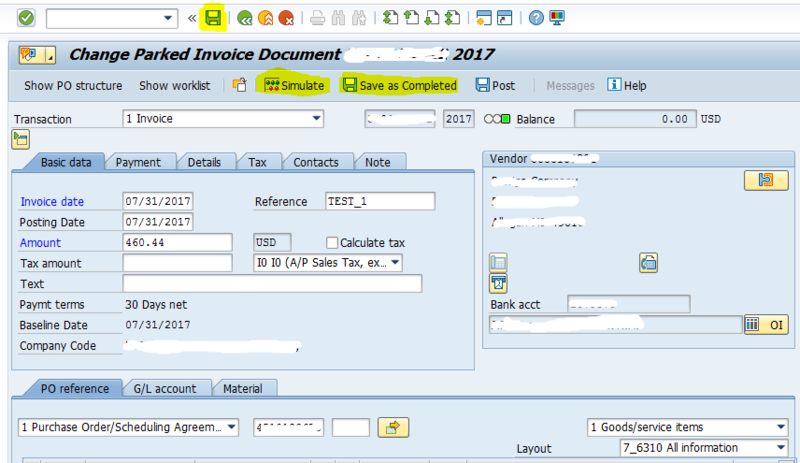 SAP provided authorization objects can limit the staff from posting and manager from parking. But if these authorization objects are used, manager cannot view the document if “Park” authorization is not provided and staff cannot post in other transactions as well which may be undesirable. Also, once the authorization is provided, manager is able to both Park and Post. The goal of the whitepaper is to let the manager view and post the document without being able to park it and limit the posting ability of the staff. Also, note that this is required only for the purpose of MIR4 tcode and the customer is not using WorkFlow for any of purposes in the project. As confirmed by the security consultant, the authorization objects to achieve this are not tcode specific and playing with them messes up the activities of other tcodes as well. MESSAGE ‘You are not allowed to perform this function.’ TYPE ‘E’. Finally to take care of the Parking at the time of exiting let us create an enhancement in SAP standard include LMR1MF4J. SET SCREEN 0. LEAVE SCREEN. Thus by following the steps above steps we can stop a user from parking a document from MIR4 despite having Parking authorization. 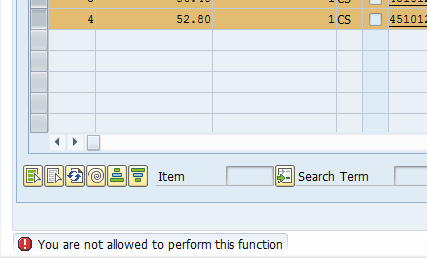 MESSAGE ‘You are not allowed to perform this function’ Type ‘E’. 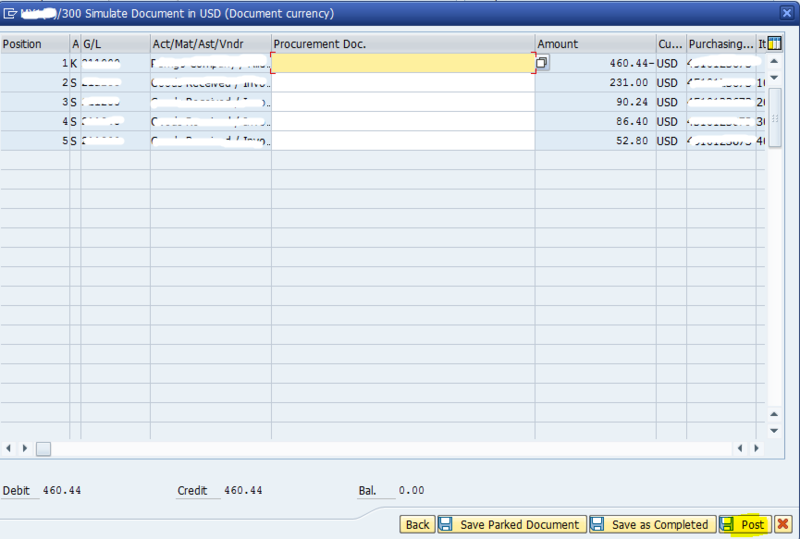 “SAP provided authorization objects can limit the staff from posting and manager from parking. Could you provide more detail about the autorization objects mentioned in the above statement? with all the authorizations available…is it not possible to achieve that requirement via authorizations? It is somewhat possible. But as it was communicated to me, the authorizations are not geared towards a particular tcode and have a blanket effect on multiple other tcodes. Which is why this enhancement was needed. have you read Former Member ´s answer in the following thread? (it´s quite interesting). I have checked it. But please note, that is only one side of the story. In this thread, they want the user to be able to park but not post. But my blog also deals with users being able to post and not park. As it happens, the user who has to post also needs additional accesses to view/change etc for the whole scenario to work and that allows him to park as well. This causes the whole muddle. 1.1.- what is the value of c_rbstat_batch and c_rbstat_error? 1.2.- why are you clearing rbkpv? 2.1.- what are you doing in that routine? This scenario is for when you make some changes to the tcode and try to exit it. System asks if you want to save the document with three options, “Yes” , “No” and “Cancel”. 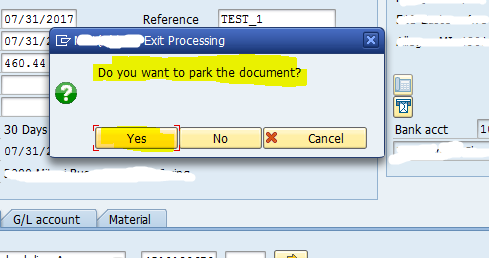 Pressing Yes will park the document. SAP has 3 sets of standard code based on the choice. Code to Park when you press yes, Code to cancel and Code if you press No. If you want to control Parking for certain users, what I did was if the User has certain roles (Manager), I just copied the code for “No” or “Cancel” to replace the Code for “Yes”. 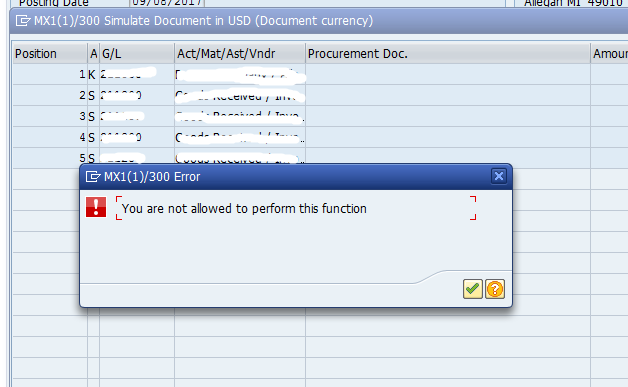 So if manager presses Yes to save the document, based on the choice you make, it will just behave as “No” or “Cancel”.